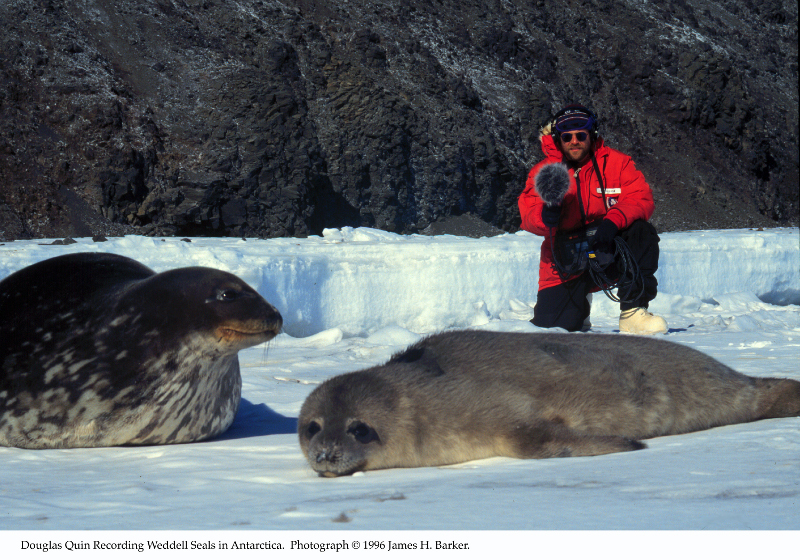 Story: Sound art arranged from underwater recordings of Weddell seals at Big Razorback Island in McMurdo Sound, Antarctica, contributes to scientific understanding of their breeding patterns. Big Razorback Island is part of an archipelago, the crest of an extinct caldera in the Ross Sea and a known breeding area for the Weddell seal. Researchers have classified 12 types of calls with 34 discrete phrases, from booming territorial sounds to birdlike chirps and whistles. Their frequency range is remarkable, with lower frequency calls registering around 0.1KHz and others reaching up to 70KHz, well beyond human hearing which levels out at about 16KHz. Males generally have a broader repertoire of calls which are heard most often during the mating season, as a display to competing males and to attract females. Weddell seal sounds can be heard above and below the ice and they communicate on land as well as in water. Underwater source levels of some calls can reach a deafening193dB. These powerful sounds can be felt through 2 metres of ice. Methods: The recording was made using a pair hydrophones placed about 90 metres apart and 20 metres deep. The field recording has been minimally edited and is imaged for stereo playback. The sounds heard are produced by male seals patrolling their underwater territories, also called maritories. Among the pinnipeds, Weddell seals are outstanding in the range and variety of their vocalisations. 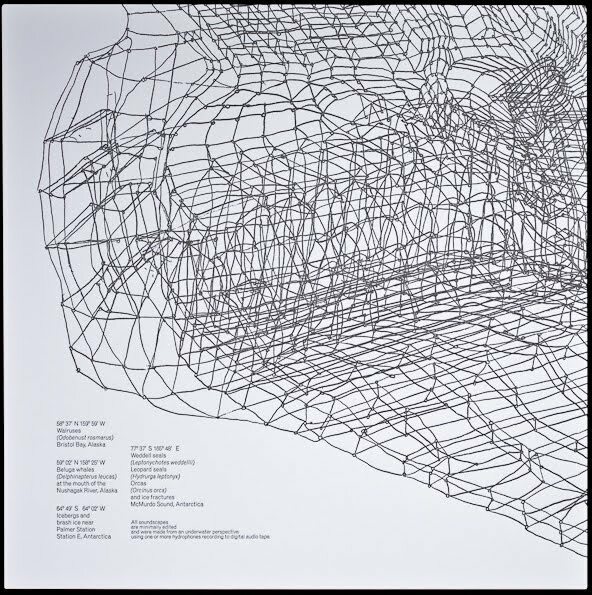 Terhune, J. M., Quin, D., Dell'Apa, A., Mirhaj, M., Plotz, J., Kindermann, L., Bornemann, H.